JoomDev Software solution is a Webdesign, Development Agency in India. JoomDev also Developing extensions and Templates for Joomla. JoomDev is an international software design and development company that builds comprehensive, custom solutions for enterprise mobile and web. We combine our engineering expertise with our elegant design aesthetic to deliver exceptional results for category leaders in manufacturing, healthcare, financial services, and retail. JoomDev possesses result oriented team working with right technology for right work assuring total quality with accuracy and high value returns. Our Research & Development Department continuously explore new technologies to give our clients the best, generating a high level of satisfaction in them. We provide value to our customers by offering several benefits to them including speed to market, high quality people and processes, cutting edge technology expertise and a full service portfolio. JoomDev produces more than 50,000 engineering hours annually building custom cloud-based and mobile solutions for mid-market and Fortune clients. Our long-term partnerships are built on trust and transparency. We follow a streamlined, agile process, are committed to Responsive Design, and always pursue excellence in what we do. JoomDev’s ability to devise solutions is equally matched by our ability to execute. Our differentiation stems from a unique balance of human perspective with deep strategic thinking. Hard work, attitude, and dedication, these are not just words for the members of the JoomDev family but their Job Description. We at JoomDev provide services for enabling you to harness the power of Information. 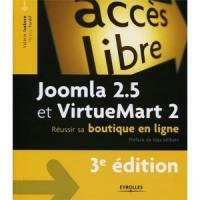 Joomla 2.5 et VirtueMart 2 : Réussir sa boutique en ligne is written by Valérie Isaksen, author of the of the homonym guide about VirtueMart 1. Valérie Isaksen is member of the VirtueMart 2 development team. Looking for superior Joomla development or customized solutions to make your business prosper in the web world? 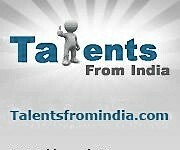 Talents From India is your holistic destination. Expertise of our Joomla developers has etched an identity for many of our clients by rendering proficient services in Joomla technology. TFI holds a team of highly skilled Joomla Developers & Joomla Programmers that can assist you in your website development by exploiting their talent in Joomla which results in reducing operational cost and boosting up of sales. Joomla Payment gateway development for almost any component. Specializing in Virtuemart 1 and 2 gateways. Unser Shop-Paket ist ideal für Website-Betreiber, die im Internet einen Shop betreiben oder ihren Besuchern einen Katalog mit Produkten präsentieren möchten. In dieses Paket haben wir für Sie den Virtuemart Webshop mit Joomla 2.5 und VM 2.0 (inkl. kostenlosem Template eines Virtuemart-Entwicklers) integriert. We are working on Joomla EXCLUSIVELY for 7+ years and executed 800+ projects of various complexities. We have done considerable work on Virtuemart (100+ projects). Web link: JoomlaFreaks - We eat, drink and sleep Joomla !